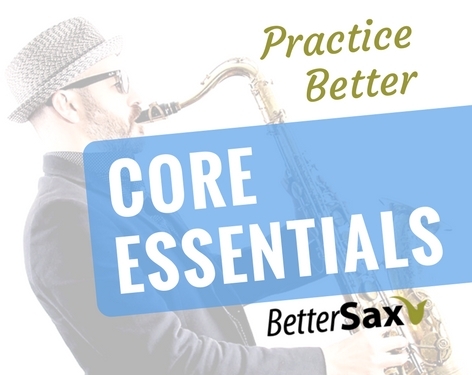 I want to share with you three essential saxophone accessories you should have in your sax case and how I use them. Click below for the video version of this post. 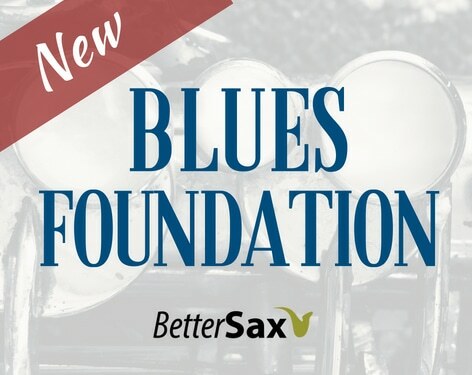 Each one of these saxophone accessories will make playing the saxophone easier, more enjoyable and save you money, which everyone wants. 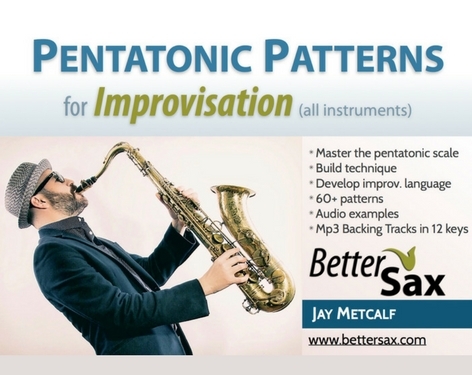 If you’re a saxophone player and don’t use these things you really should consider starting. If you’re a teacher, please share this post with your students. All three of the items I’m going to suggest you buy will pay for themselves within the first year or less of playing the saxophone. The reed case is the most important. You must remove your reed from the mouthpiece after each playing session and put it away in a reed case. If you don’t, the reed will dry out, warp and lose its playability very quickly. 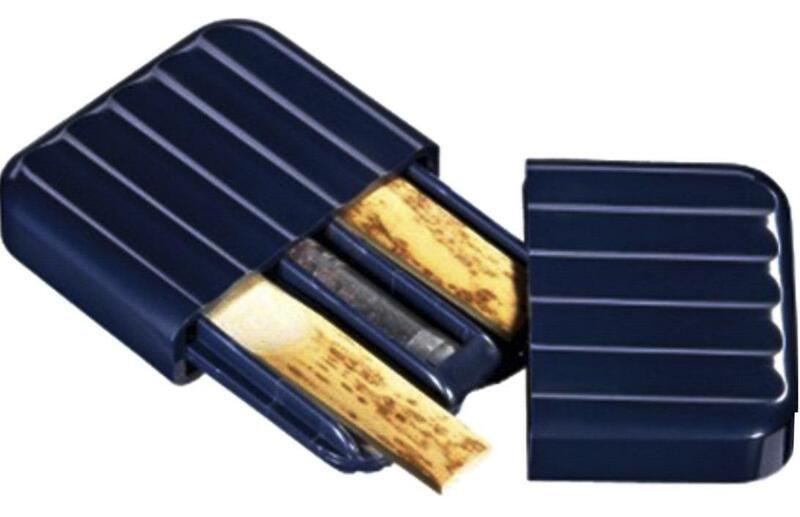 Keeping reeds in a reed case, especially one that keeps some humidity inside, will prolong the life of your reeds, saving you money. 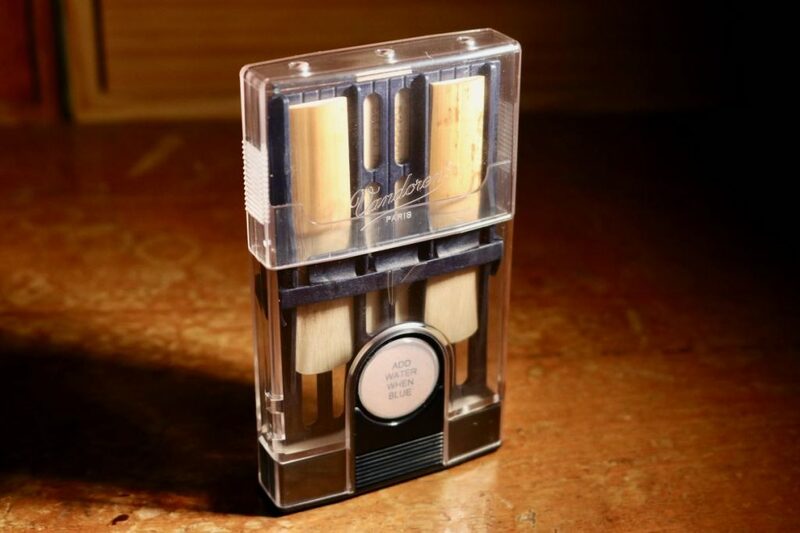 It will make your reeds easier to play and help you get a better sound. Added bonus, a good reed case helps you keep track of which reed is which and keep them organized. My favorite is the Vandoren Hygro case. It holds six reeds, has a convenient little sponge that changes color when it’s time to add more moisture and accommodates reeds of different sizes, which can be really handy. It’s available for both alto and tenor sax reeds. I used to use this one by Vandoren that I don’t think they make anymore. I’ve owned a bunch of them over the last 20-plus years and they last forever. I picked up this little one from Vandoren (VRC620), which I don’t use since it doesn’t maintain any humidity in the case. The key here is keeping your reeds a little wet, on a flat surface and protected. Reeds are expensive and when you’ve got a good one you want to get as much use out of it as possible. When I say cleaning swab, I should say swabs plural. You want two. One for the mouthpiece and neck and another one for the body. I use these swabs made by BG. I’ve tried all the different ones out there, and these are by far the best. When you blow into the saxophone, the condensation from your breath turns into water and the inside of your horn gets pretty wet. You will want to literally pour out the water that accumulates in the bow of your saxophone from time to time. It’s not quite spit, but this water vapor you’re blowing into the instrument does contain traces of whatever you recently ate or drank. The closer to your mouth, the more pronounced the residue and gunk will be. 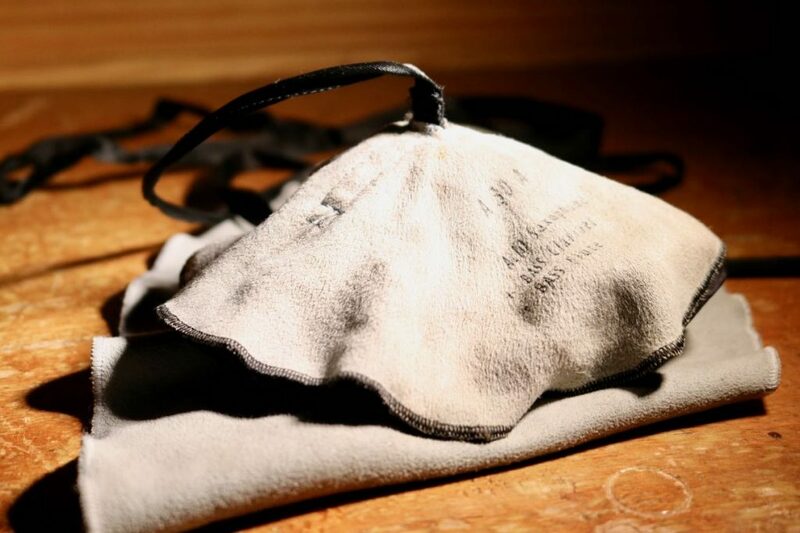 Over time, if you don’t wipe clean the interior of the saxophone, you’ll get some nasty residue that builds up, which can cause problems and become smelly and gross. Swab out your horn, neck and mouthpiece after every playing session. I pass the little one through the mouthpiece first a couple times, then I wipe off the exterior and put it away. Next, I do the neck a couple times, and then wipe off the neck tenon. You want to keep this thing very clean. Any dirt on there will cause problems with the fit of your neck in the sax body. Finally, I swab out the body of the horn three times (see video for demo). At first the motion of this is a bit awkward, but it will soon become second nature. Since these swabs need to be pretty snug when you pull them through the tube, you need to get the right sizes. 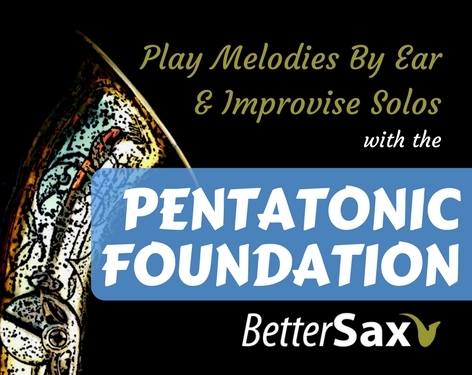 My tenor body swab won’t pull through an alto for example, and my alto body swab won’t remove all the moisture from the fatter part of my tenor body tube. These here I’ve had for over 10 years and they have been pulled through my horn at least three times a day during that time. Still going very strong. When I bought it I said, “Oh, that’s a bit expensive for a swab,” but I’m very glad I have this and would buy it again and again. A good saxophone swab will pay for itself many times over by saving you money on maintenance and helping your horn to hold its resale value. You can grab the BG alto sax body swab here, the BG tenor sax body swab here and the neck/mouthpiece swab for alto here. This last one I’ve had for a couple of years and it has completely transformed my relationship with reeds. ReedGeek Classic and ReedGeek Black Diamond are the perfect tools for reed maintenance and adjustment. Before I bought this handy saxophone accessory, I had the same problems with reeds that everyone complains of. Out of a box of 10 you only get two or three good reeds and the rest are basically very expensive kindling for tiny fires. My reeds weren’t consistent from one to the next. Now, spending very little time with each reed I easily get every one in a box to work for me. 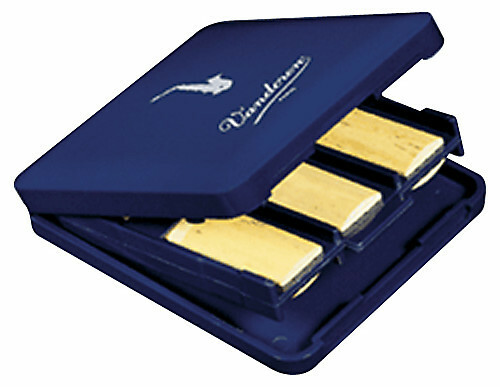 Keep in mind you need to be using the correct strength reed for you and your saxophone mouthpiece. I’m not one of those guys who carries around a laboratory of stuff for their reeds and spends hours working on them. I don’t have the patience for that. I know there are many complex and really involved methods other sax players use for their reeds. That stuff is not for me I don’t have time to mess around with jars of moldy water and all that. I want to take a reed out of the case, slap it on the mouthpiece and go. So here’s how I use this thing. When I get a new reed out of the box, before I put it in my mouth, I flatten the table, the back of the bottom part of the reed. You can really go for it here because there’s plenty of cane. Go ahead and shave a bit off so you know it’s perfectly flat. I go in one direction first and then I turn it around and do the other direction. The whole process takes about 10 seconds. Then I play the reed. If it’s too hard, I will spend a little more time shaving from the other side, the top of the reed. Here I go very gently because every scrape will affect how the reed plays. The only way to get good at doing this is to practice on a bunch of reeds and experiment a little. Once you’ve adjusted several reeds in this way, you’ll start to get the hang of it and the process will be pretty fast. You want your new reeds to be on the hard side. If they are soft from day one, they’re not going to last you very long. 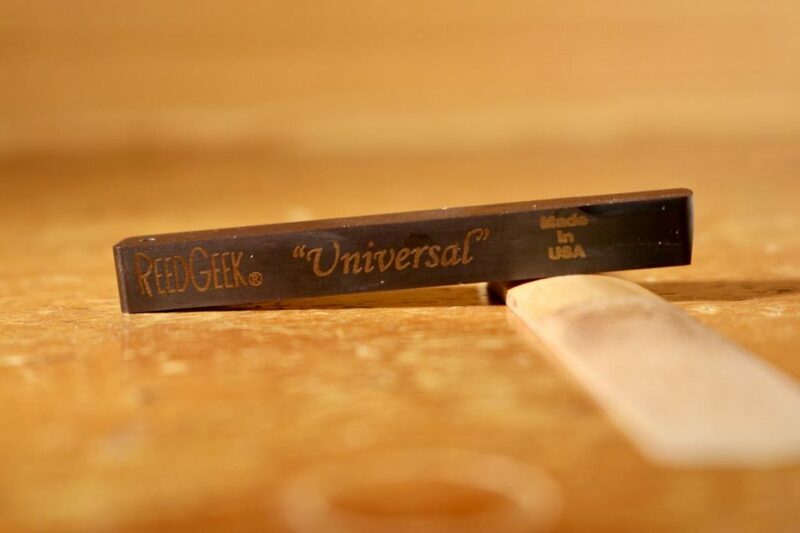 Once you have this ReedGeek, you can always adjust a reed that’s too hard to play well for you. I find the reeds that start out a little bit on the hard side play the best once they are broken in and last the longest. I then use the ReedGeek to flatten the table every time before I put it on the mouthpiece. I’ve done this with reeds that I’ve played for months and never run out of cane to scrape off the bottom. The reason for this is that the reed needs to be perfectly flat in order to make a seal with the mouthpiece. Since it’s wood, it warps constantly. By flattening the table before each playing session, I’m always getting a great seal with my mouthpiece which means a better sound, more control and it’s easier to play. Now this tool is pretty expensive for a little hunk of metal. And I hesitated before I bought one. But mine has paid for itself many times over in the two years I’ve been using it and it’s another accessory that’s going to last a lifetime. I’ve taken it on the plane in my case many times and had no problems with security. The ReedGeek has become an absolutely essential piece of gear for me. In case you’re wondering, at the time of writing this and creating the video I had no affiliation whatsoever with the makers of any of these products. I purchased all of these items with my own money and have been using them for years. If you buy something using the links in this post, I will receive a small commission from Amazon, which I will immediately spend on more sax gear to try out and review for you. Let us know if you give any of these must-have tools a try and tell us what you think in the comments below!